The Hire Online process is quick and convenient. We deliver across the Brisbane metropolitian area or you can pick up from any of our 5 handy locations. Browse the equipment or use search to find the items you need. Click hire and proceed through the check-out process. Pick up or have your items delivered straight to your door. Return your items to the branch or have it picked up for you. We deliver across the Brisbane Metropolitan area. Please ensure you are at the designated delivery address during the time requested and have Photo ID available. Special delivery or pick up instructions can be entered in the text box during Check Out. For deliveries outside Brisbane metropolitan area, please contact your closest branch for a quote. Fuel is charged at time of hire. Refund issued for unused fuel. Hire period 1 day = 24 hours. Hire charges = time out . Additional charges may occur if equipment is returned damaged or excessive cleaning is required. 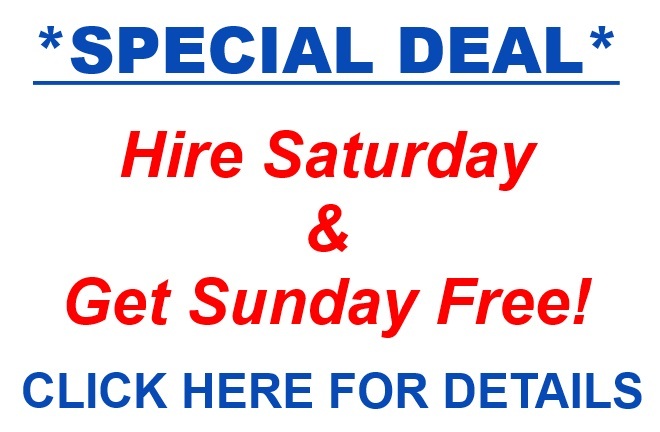 For weekend hire CLICK HERE Hire Saturday get Sunday free.